The recent snow and extreme cold temperatures in North Dakota have practically shut down the state. Canceled school, closed businesses, and even no mail delivery. It’s been colder than the North Pole in the last week, and we’re certainly all feeling it across the plains! 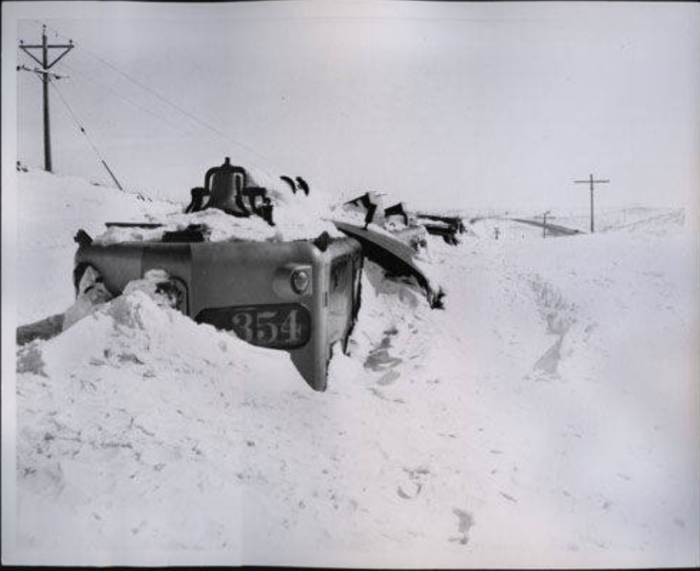 Despite this crazy polar vortex weather, we can be glad it’s not as bad as it was 53 years ago. 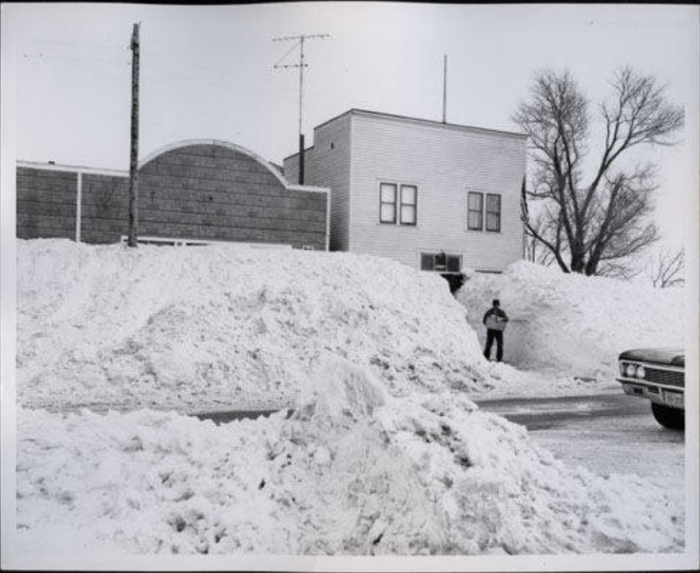 It was 1966 that ND saw its worst blizzard in history – and it’ll be one that’s tough to beat for probably years down the road. 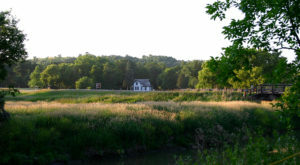 The photo above was taken in Hague, North Dakota. Insane amounts of snow fell throughout the storm, blanketing the entire state under mounds of white. An insane 30 inches of snow fell just within those 3 days. Thanks to wind gusts of up to 70mph, those 30 inches of snow blew into huge drifts. A few of these drifts were as high as 20ft! 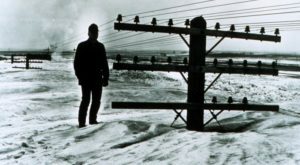 A near-buried utility pole and a man standing atop the snow in the photo has been passed around for years. The caption written on the photo read, "I believe there is a train under here somewhere!" 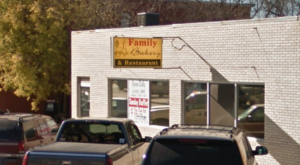 While the caption is joking, elsewhere in North Dakota it was more like a nightmare. 500 passengers on a train became trapped inside near New Salem, ND. The train could not move as the rails were completely snowed over. Fortunately, the passengers of the train made it through the blizzard alive. Most unfortunately, not everyone in the state did. There were 5 victims taken by this unprecedented blizzard, not to mention over 130,000 head of livestock that perished from exposure or from barns that collapsed due to the weight of the snow. 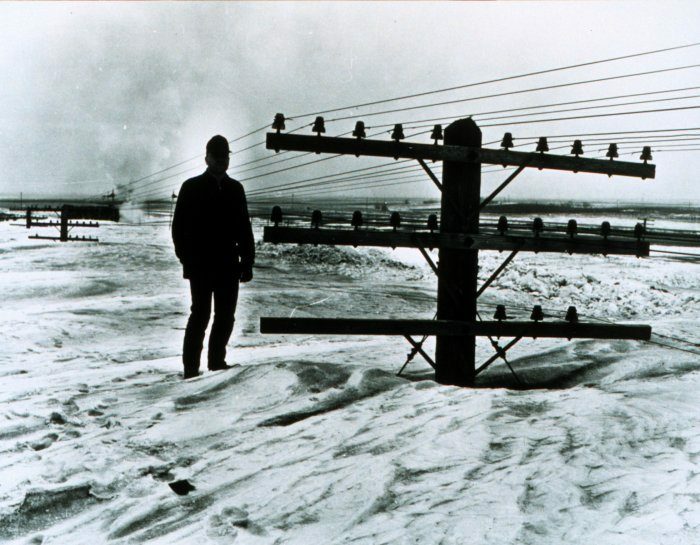 Roads were closed, phone lines were down, and the entire state was brought to a stand still for the remainder of the blizzard. 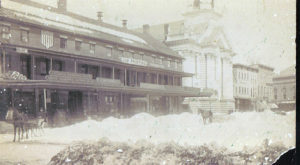 Many homes and businesses were completely snowed in and cars were lost underneath the blankets of white snow. There was no chance for people to make it to work or school so most all of the area was just shut down. It took days to shovel out cars, buildings, and to get the phone and electricity lines back up and working. Despite the blizzard lasting 3 days, it took a lot longer than that to recover from it. Cars were dug out, bulldozers were brought in, and tons of buildings that collapsed under the weight of the snow had to be torn down or repaired. 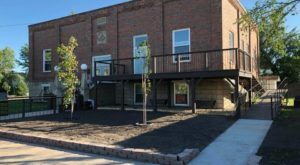 Millions of dollars of damages occurred due to just this one storm - and it will continue to go down in the history books as the worst in North Dakota's history. 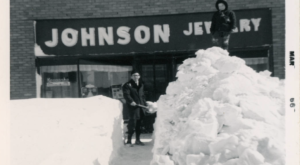 Were you there for the Blizzard of 1966? 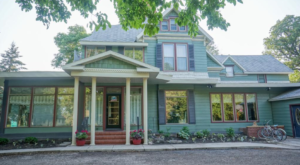 Did any of your family members experience it? They would certainly have a tale to tell that we can be glad we aren’t experiencing today. 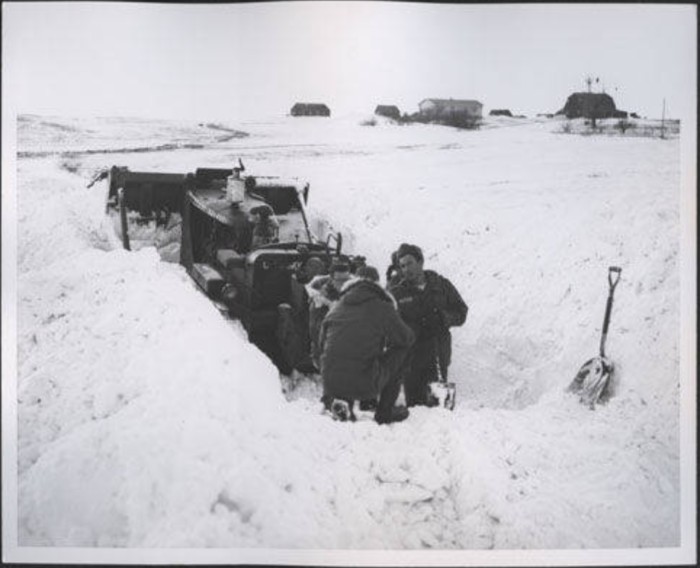 Here is a list of some of the other notable, heavy blizzards that have hit North Dakota over the years.